MCKINNEY, Texas – February 5, 2019 – Sigmetrix, global experts in GD&T and mechanical variation, announced they will be a Silver Sponsor of SOLIDWORKS WORLD 2019 to be held February 10-13, 2109 in Dallas, Texas. The Sigmetrix team will be at booth 429 in the Partner Pavilion to demonstrate their tolerance analysis products and discuss their broad scope of GD&T and MBD Training options. Ed Walsh, VP of Sales, will present ‘Quality, Cost, and Innovation in the Medical Device Industry’ in the Certified Partner Theater on Monday evening at 7:15. As a SOLIDWORKS Certified Gold Partner product, CETOL 6σ for SOLIDWORKS couples the power and functionality of SOLIDWORKS’s parametric design capabilities with the precise calculations and advanced mathematical technologies of CETOL 6σ. CETOL 6σ uses a direct mathematical method that enables users to see the results of their tolerance changes immediately rather than having to rerun simulations each time. CETOL 6σ allows companies in virtually all industries to gain profound insight into the behavior of their products. 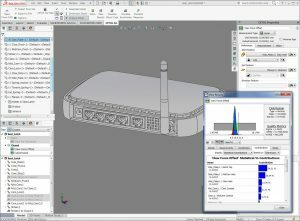 Whether it’s a powertrain being designed in the automotive industry, or a medical device, or a wind turbine, CETOL 6σ for SOLIDWORKS is the dominant solution for tolerance analysis throughout the world. It is an ideal tool for many other industries as well, including aerospace and defense, heavy industry, HVAC, consumer products, safety, security, and electronics. 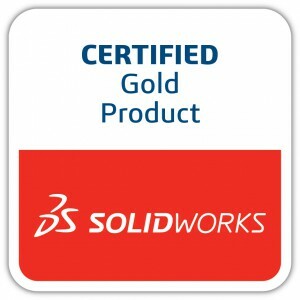 “We have been a SOLIDWORKS Solution Partner since 2008 and attained Gold Product Certification of CETOL 6σ for SOLIDWORKS in 2016. Sigmetrix attained this significant designation by meeting the stringent SOLIDWORKS criteria for fully integrated interoperable functionality, quality, industry expertise, and high levels of customer satisfaction. The tight integration improves the user experience and accelerates the design to manufacturing cycle, allowing more robust products to hit the market sooner at reduced cost,” says James Stoddard, President of Sigmetrix. In addition to demonstrating CETOL 6σ, Sigmetrix will be showing the latest addition to their portfolio of products, EZtol. This 1-Dimensional tolerance stackup analysis program is designed to assist in understanding the impact of the accumulation of part-level dimensional variation and part-to-part assembly variation sources and the impact that they have on assembly-level requirements.